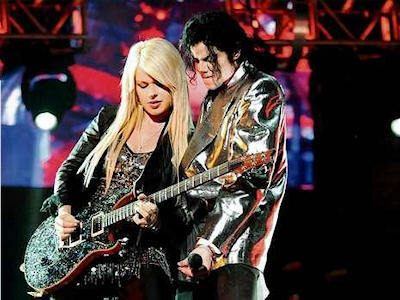 Orianthi spoke about a private show she played recently at Michael Jackson’s Neverland Ranch, but she didn’t say much. 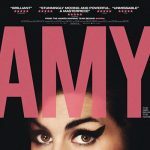 The artist, full name Orianthi Panagaris, wouldn’t divulge any other information about the show. Jackson chose Orianthi to play guitar on his “This Is It” tour before passing away last June. Shortly after his death, the guitarist burst on to the scene, releasing her debut LP Believe, and scoring a radio hit with “According To You.” She planned to launch a solo career before the King of Pop passed. Orianthi also spoke about her Greek heritage, plus she responded to recent comments on “The RRS” by Train’s Pat Monahan, who is a fan of her work. Orianthi will be playing many more shows throughout the year. 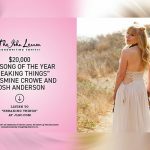 In addition to various dates for radio promo, she finds herself back in Australia soon, supporting John Mayer. 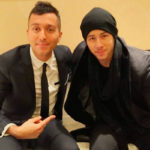 Panagaris met Mayer twice, the first being at Michael Jackson’s memorial inside the Staples Center in Los Angeles. Both encounters were brief. 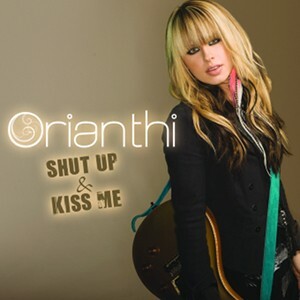 Orianthi’s latest single, “Shut Up and Kiss Me”, is impacting radio stations now.